Is it possible for the weeks to fly by and move at a snail's pace at the same time? At least that's how I feel right now. For me, and everybody else who is involved in car racing, now is the "silly season." The term stems from the fact that you don't know who is going to drive what next, and because of that there are a ton of negotiations going on everywhere. The hit rate is ridiculously low at 5 percent, which means that you spend most of your time on negotiations that seem promising at first but lead nowhere. That's the everyday reality of a race car driver, especially during silly season. Fortunately for me, I've got both a family and a day job to keep me busy. It feels like it was just yesterday that I was in a race, even though it was three months ago. That's a good thing for several reasons. 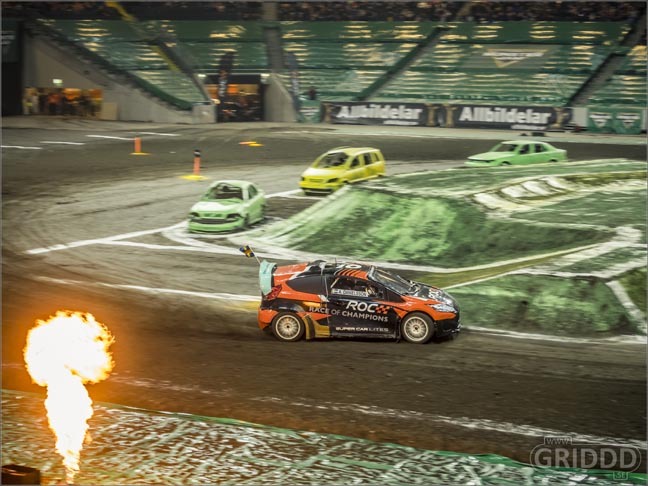 For one, most of the off season is already over, and secondly the time flew by...just like I did during an event at Friends Arena in November. It was the same weekend that we got 50 centimeters of snow in two days. 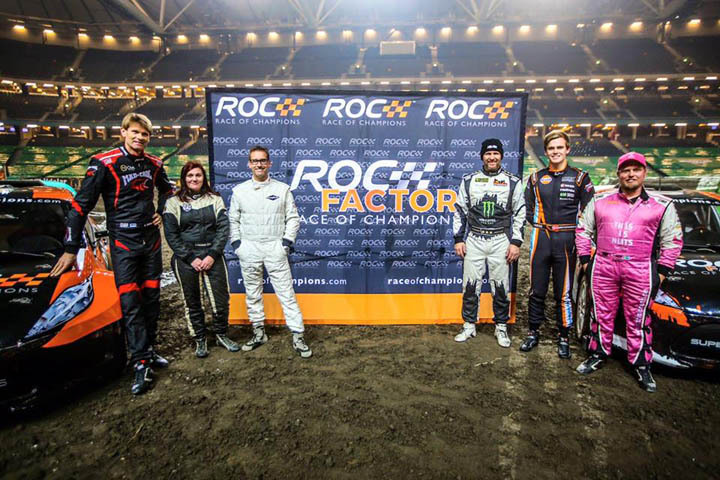 It was a pretty fun contrast for the Americans who were in Sweden to compete in Monster Jam, i.e. 5-ton monster trucks that fly around inside the arena in fully controlled chaos. But the worst chaos possibly broke out before the race, when the Americans had to get from Arlanda Airport to Stockholm. It took them four hours! I had warned them that we might have "some snow" during the competition in Sweden. "You weren't kidding!" was their first comment when we met up at the hotel. 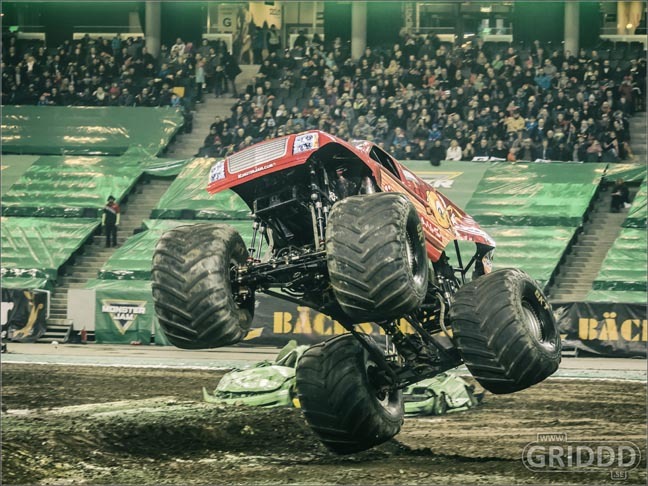 So what kind of nuts would voluntarily strap themselves into a 1,500hp strong, methanol-driven truck to see who can do the craziest stunts in an obstacle-filled arena? Well, Mr. Race Nut (me) of course. The eleven Americans might as well have come straight out of the cast of movies like Top Gun and The Fast and the Furious. Adrenalin-hungry macho men? No, absolutely not. They're a mix of men and women in the ages of 20-60 years old. That's the best part about motorsport. Everybody can participate and win, even drivers with pretty serious handicaps, like paralysis. When I grew up, the only person I idolized was Thomas Fogdö. He won the Alpine Skiing World Cup in 1993. The next year he tragically became paralyzed from the waist down from a trivial mistake. A couple of years later he was competing in car racing! Isn't that amazing? Hero. Oh well, as I mentioned the season is getting closer for me, which means I'll have a lot of exciting news that I'll share with you here on the Race Nut blog. Up next is a pretty advanced and for me fairly unusual trip abroad, which will happen sometime between now and my birthday on April 1. Yup, you read that right, but the trip itself is no April Fools joke. I promise! Until next time: "I drive, therefore I am."